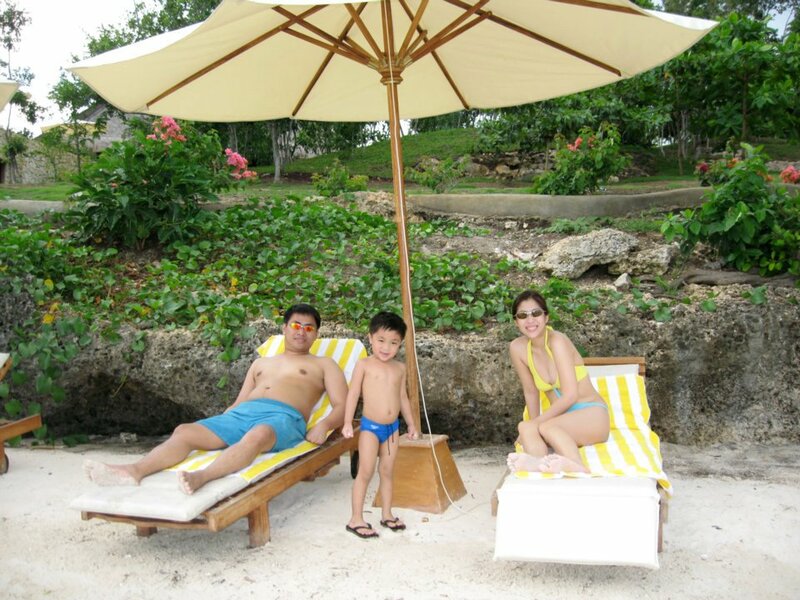 Eskaya Beach Resort is located in Bohol. 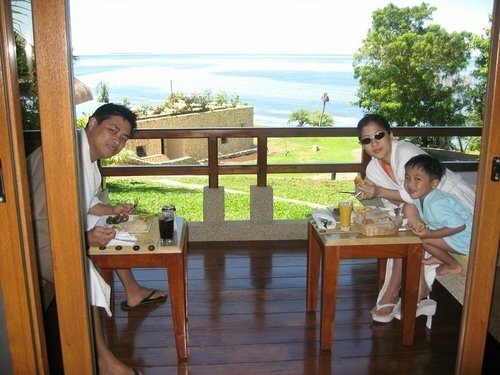 I remember, from Cagayan de Oro, we took the boat to Cebu overnight so that we could take the fast craft to Bohol. But, that overnight boat trip to Cebu was something I will never forget. After that experience, we never again tried taking the boat. 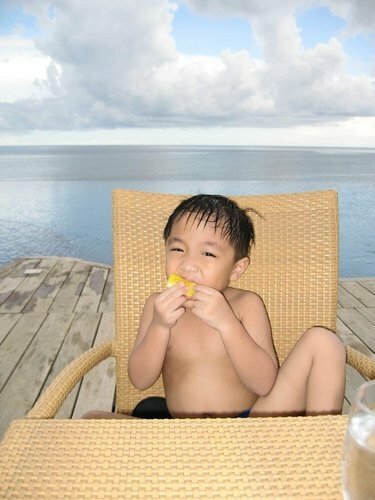 Good thing, when we arrived in Bohol, Eskaya Resort was really nice. They opened like just weeks ago. It was so funny that when we checked-in, I think we were the only ones in the resort. Elmer was joking me that he booked the whole place just for us. During this time, not all villas were done yet. We had a good stay. It was so quiet and peaceful. Here are some photos from this trip. This must be Elmer's favorite picture of him and Dom. 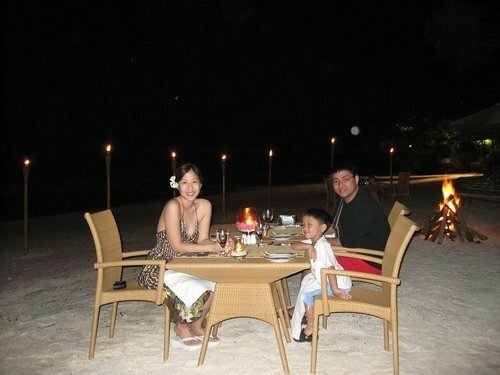 Relaxing night with only us and the waiters by the beach having a quiet dinner near the bonfire.